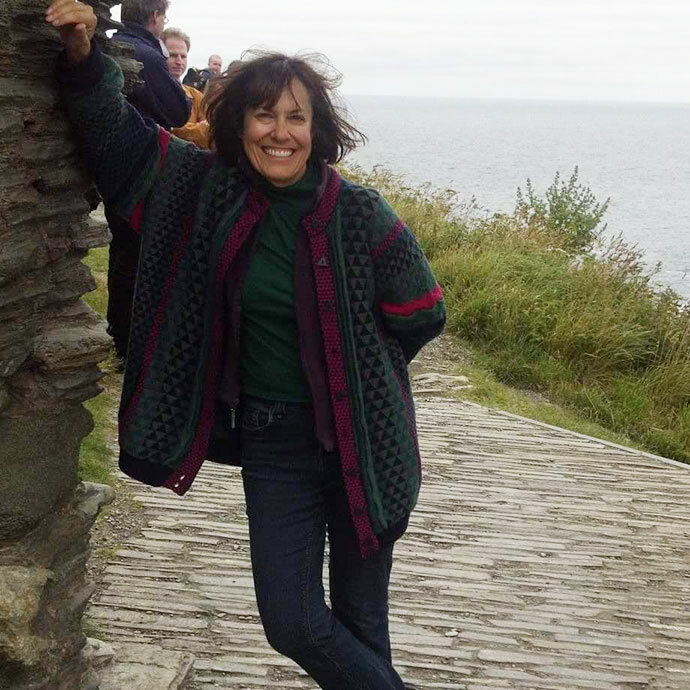 After receiving her MSc in Medieval Languages from the University of Edinburgh and a PhD in English and Comparative Literatures from Stanford University, Susan Aronstein joined the English and Honors faculty at UW in 1987. She is the author of Hollywood Knights: Arthurian Cinema and the Politics of Nostalgia (Palgrave, 2005) British Arthurian Narrative (University of Florida, 2012), and The Road to Wicked: The Marketing and Consumption of Oz from Baum to Broadway (with Kent Drummond and Terri Rittenburg, Palgrave, 2018), as well the co-editor (with Tison Pugh) of Disney’s Middle Ages: A Fairy Tale and Fantasy Past (Palgrave, 2012). Her articles on medieval Arthurian romance, medieval film, medievalism, and Disney have appeared in numerous books and journals. At UW, she teaches courses ranging from the Middle Ages (Chaucer) to the present (Stephen Spielberg), and her classes for Honors include First Year Colloquium, the Disney Discourse, Performing Epistemology: Tom Stoppard and the Quest for the Real, and Citizen Hollywood: The Films of Stephen Spielberg). Over the years, Aronstein has received numerous honors for her teaching, including the John P. Ellbogen Award for Meritorious Classroom Teaching, A&S Top Ten Teacher, Excellence in Honors Teaching (First-Year and Upper-Division), and the Distinguished Graduate Mentor award.